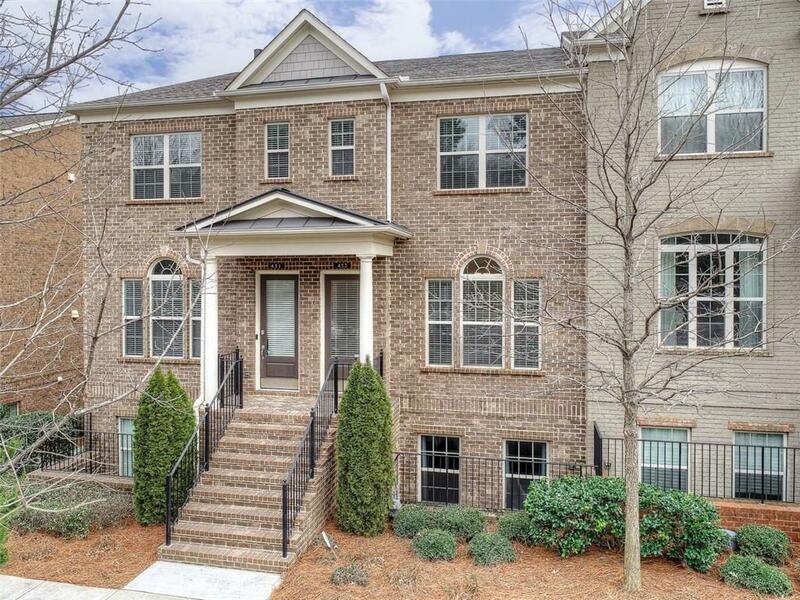 Beautiful townhome in GATED community, close proximity to Publix, Restaurants, Shopping, Abernathy Greenway Park, & Mercedes Benz Headquarters, among so much more! Easy access to GA-400 & I-285. Stunning kitchen features a large island, SS appliances, & granite countertops, with open views to the family room. Separate dining room w/ full-height upgraded trim throughout. Large master suite w/ spa-like master bath & walk-in closet. Oversized deck. Terrace level guest suite could also be used as an office or media room. 2 Car Garage. Washer & Dryer can be included. Directions: Ga 400 - Exit 5b Toward Sandy Springs. Follow Abernathy Road. Neighborhood Will Be On Your Right, Just Before The Intersection Of Abernathy And Roswell Road.